I know you have seen my reviews of Patricia Fry's Klepto Cat series and if you haven't downloaded one yet--then here is your chance!! 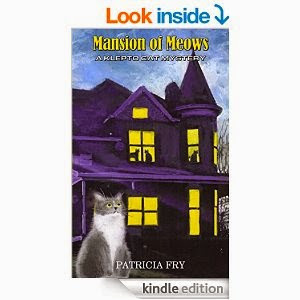 Mansion of Meows which is the 9th in the series but a really great one (read my review here if you don't remember this one) and can really be read as a stand alone is FREE on Amazon 7/7 ONLY--so do not delay--get in there and get your copy! !